All electrical work installed by us is inspected and tested to meet current standards. It is recommended that all existing wiring is checked to meet current safety standards. With health and safety regulations getting more stringent and insurance companies demanding more rigorous conditions before they offer cover, it’s vital you ensure your electrical installations are properly maintained. This could be of equal importance to both buyers or sellers of commercial or residential properties. 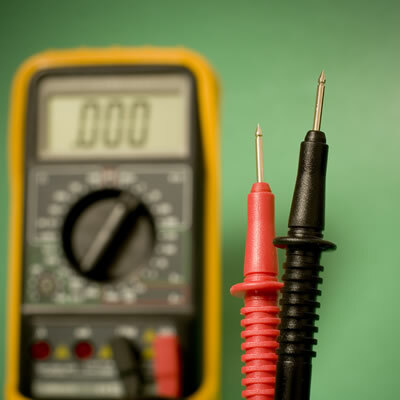 Electrical fault finding can vary in both size of job and technicality of job. It is not normally possible to assess the scale of the fault without carrying out initial investigative work, which incurs a small additional cost to identify the problem. Once the problem is identified, we are then able to quote for the work accordingly.